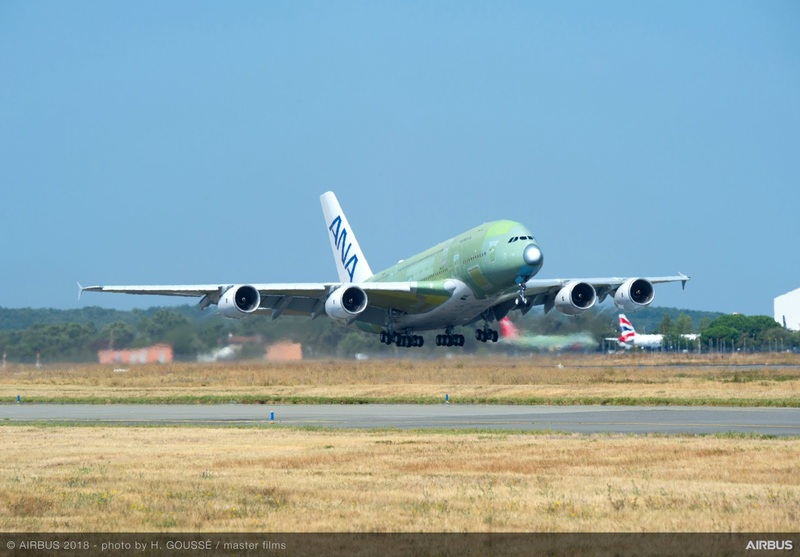 The skies around Toulouse saw another jolly green giant take to the air yesterday as the first A380 for All Nippon Airways successfully completed its maiden flight. 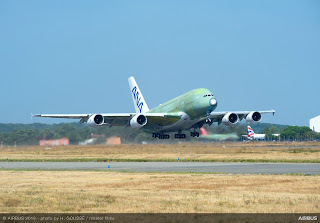 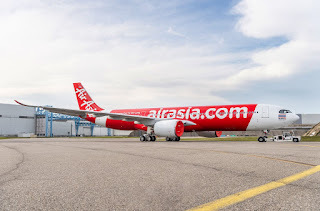 The double-decked passenger jet rolled off the final assembly line (FAL) in Toulouse, France and departed the city for a flight to Hamburg, Germany. 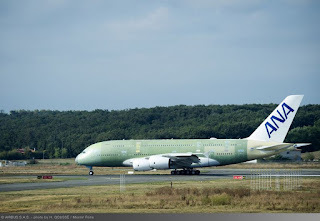 The aircraft is now being prepared for cabin installation and painting in the airline’s special A380 livery. ANA placed a firm order for three A380s in 2016, becoming the first customer for the superjumbo in Japan. 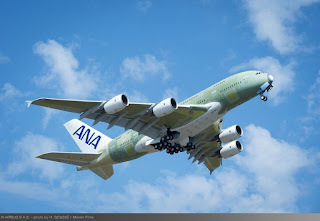 The first delivery is scheduled early 2019, and the A380 will initially be operated on the popular Tokyo-Honolulu route. Offering more personal space than any other aircraft, the A380 is the most efficient solution to meet growth on the world’s most heavily travelled routes, carrying more passengers with fewer flights at lower cost and with fewer emissions.